Heroes, Heroines, and History: HIstorical Cures for Leprosy and #Giveaway! HIstorical Cures for Leprosy and #Giveaway! How far would you go to cure a life threatening disease? Would you try whatever the physicians gave you? Drink human blood? Snake venom? Would you risk being stoned by your neighbors? Last month we discussed leprosy in Bible times and the Jewish view of the disease. This month, we're going to take a look at some other nations and the ways they treated the disease. In Greece: Blood was a treatment for leprosy, specifically the human blood of children or virgins. The patient would drink blood, or bathe in it. This method was also known in ancient Egypt and China. This practice was in use all the way up till 1790 when we have a record of dog blood being used in the De Secretis Naturae. Lamb's blood was also mentioned around that time. Other treatments included cobra venom, bee stings, snake bites, scorpions and even frogs. The waste of certain fish were also experimented with. in 1913, a french scientist tried an increase of bee stings, up to 4000, in order to cure it. By the early 20th century, doctors began injecting patients with the oil from the chaulmoogra nut. This seemed to work for some folks, but was very painful and unreliable. Did you know that leprosy victims in the U.S. were not allowed to vote until 1946? In the 1950's, doctors discovered the dapsone pills, which seemed to work. However, after some time the leprosy virus built up a resistance to dapsone, and results plummeted. The modern day cure for leprosy was developed on the island of Malta in the 1970's. What they discovered was that if you treat the disease with multiple drugs, you will have success. This has become known as Multiple Drug Therepy (MDT). The modern treatment combines dapsone, rifampicin (or rifampin) and clofazimine. It can take 6 months to a year, or sometimes more for the treatment to work. Today, according to the American Leprosy Mission, someone is diagnosed with leprosy every two minutes. Even though they have found a cure, many cannot afford it. Ministries such as ALM raise money to help those suffering with this horrible disease. Leave a comment below to be entered in the drawing to win Amber's book, The Healer's Touch. 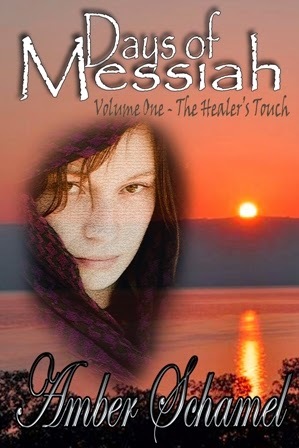 Amber Schamel is the author of The Swaddling Clothes and the Days of Messiah series. She writes riveting stories that bring HIStory to life. 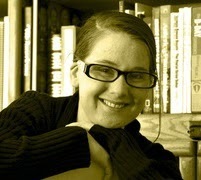 Connect with Amber on her website, www.AmberSchamel.com or Facebook, Goodreads, or Twitter. I agree. Some of those treatments....seem barbaric. But I think one might be willing to try anything. Leprosy is a lesser known disease today, and occurs mostly in 3rd world countries where sanitation is an issue. I think most Americans just don't know much about it. That's why I appreciate organizations like the ALM. No one ever talks about leprosy. You just don't hear about it. I am so glad medicine has advanced to the point where we don't have to use some of those barbaric treatment options! Thanks for stopping by to enter the giveaway! I did not realize that leprosy was still diagnosed.. I learned something today..
Leprosy......what a terrible disease! The suffering and humiliation the poor people must have experienced. Thank you, Amber for this interesting post and wonderful giveaway! You're so right, Melanie. It is a humiliating disease, and the suffering is unexplainable. Thanks for stopping by today. I am fascinated by this book. I would love to win it. I know nothing about leprosy except what is in the Bible. How awful for the people who have it and even their families. And the barbaric treatments for it. I have been wanting to read your books. Thanks for the giveaway. Bless you! I'm glad you enjoyed the post. I've got your name in the drawing. Wow, Sharon, you must have seen some heartbreaking cases. Thanks for sharing with us. Gale, so glad you enjoyed the post. Thanks for stopping by. I would like to read this book. I recently did some research about Leprosy when I was asked to teach a Sunday School class about Jesus healing the lepers.I think your book would add a lot to my understanding about leprosy. Glad you enjoyed the post! There's been a couple of other blog posts about leprosy on this site as well that you might check out for your Sunday School class.